Wilson® Professional Credentials recognize the importance of ongoing development in the field of reading instruction and high standards of practice within the Wilson community. Our policy to provide only a list of Wilson Reading System® certified individuals who are currently credentialed as a Wilson® Dyslexia Practitioner or Wilson® Dyslexia Therapist is our way of assuring the integrity of the program. What are the types of Wilson Professional Credentials? What are the benefits of a Wilson Professional Credential and why is it important? How can I earn a Wilson Professional Credential? How do I claim my Wilson Professional Credential? How do I maintain and renew my Wilson Professional Credential? What are approved continuing education activities and coursework? What documentation is required to renew my credential? Can I track my continuing education activities associated with the renewal of my Wilson Professional Credential? Am I required to renew my WRS Level I or Level II Certification? 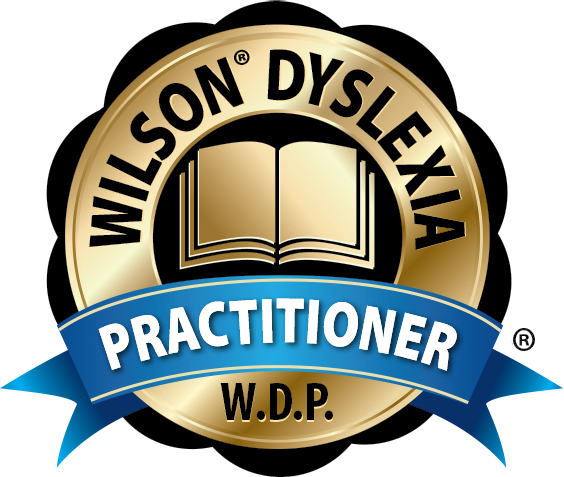 A WRS Level I Certified individual is eligible for the Wilson® Dyslexia Practitioner (W.D.P.) credential. This credential recognizes individuals as prepared to diagnostically teach students identified with a language‐based learning disability, such as dyslexia, at the beginning levels of encoding and reading. This W.D.P. credential is valid for five years and must be renewed every five years after successfully completing re‑credentialing activities and coursework. A WRS Level II Certified individual is eligible for the Wilson® Dyslexia Therapist (W.D.T.) credential. This credential recognizes individuals as prepared to diagnostically teach students identified with a language‐based learning disability, such as dyslexia, at advanced levels of encoding and reading and in group settings. This W.D.T. credential is valid for five years and must be renewed every five years after successfully completing re‑credentialing activities and coursework. Additionally, individuals who successfully complete the WRS Trainer Development internship earn the Wilson® Credentialed Trainer (W.C.T.) credential, along with their previously earned W.D.T. credential. A Wilson Credentialed Trainer is highly qualified to supervise individuals in Wilson Reading System® (WRS) professional learning programs that prepare these individuals to teach students with a language‐based learning disability, such as dyslexia. Information about becoming a Wilson® Credentialed Trainer and maintaining that credential is available on the WRS Trainer Development page. 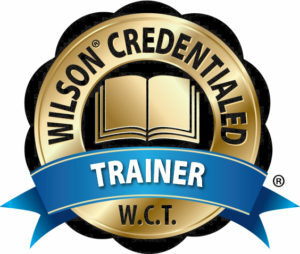 Upon claiming a Wilson Professional Credential, individuals are eligible to use the corresponding letters (W.D.P., W.D.T, or W.C.T.) and logo as part of their professional signature. It is Wilson Language Training’s (WLT) policy to only allow those individuals who are currently credentialed as a W.D.P. or W.D.T. to be included in the Wilson Directory of WRS Certified Professionals. This list is provided upon request to individuals who are seeking tutoring services in their area from a WRS Certified Teacher. Advanced notification of upcoming conferences, workshops, webinars, etc. Early registration and early bird discount opportunities. Wilson certifications are highly recognized and sought after in the field of literacy education. Individuals who have achieved WRS Level I or Level II Certification are eligible to earn a Wilson Professional Credential, which is valid for five years from its issue date. If you are eligible to receive a Wilson Professional Credential, you will need to acknowledge the credential in our system. Please log into your Wilson Academy® account and click on the “Claim My Credential” button located on the home page. Follow the easy step-by-step instructions to complete the claiming process. Upon completion, you will be eligible to use the corresponding credential’s letters and logo after your name which will represent this important credential. There is no fee required to claim your credential, and the first 5 years of your credential are at no cost. The W.D.P. & W.D.T. credentials are valid for five years from their issue date and must be renewed every five years. In order to maintain your credential, you must have a current Wilson Academy® Intensive Learning Community membership (which is available with no annual fee). During each five-year renewal cycle, one must earn 50 Wilson® Professional Learning Credits (WPLC) by successfully completing approved continuing education activities and coursework. 1 hour of activity = 1 WPLC (up to maximum credits, as noted below). Professional learning events and activities specific to programs or curricula, other than Wilson® programs, are not eligible for WPLC. See below for currently approved continuing education activities/coursework and credit distribution requirements. Yes, the cost to renew your Wilson® Dyslexia Practitioner (W.D.P.) or Wilson® Dyslexia Therapist (W.D.T.) credential is $150. Upon attendance to or completion of a WLT approved event, course, or activity, you will be responsible for obtaining a certificate of attendance or completion. For each professional book read, you will need to write a one-page synopsis and keep this documentation for your records. All documentation should be retained in the event you are selected for audit. If audited, you will need to verify your WPLC hours by submitting a copy of all supporting documentation to us. We are currently upgrading our credential tracking system. Those who have claimed their Wilson Professional Credential will receive communication that provides step-by-step instructions on how to access the system and manage your credential activities in late 2019. Between now and then, please hold on to any supporting documentation and any acknowledgment of completions that confirm the completion of your continued education activities. Stay tuned! WRS Level I and Level II Certifications are recognized from the issue date on the certificate and do not expire. Recertification is not required at this time. For additional questions related to Wilson Professional Credentials, please email us at registrarservices@wilsonlanguage.com.